The Bureau of Investigative Journalism has launched an ambitious new project aiming to identify as many as possible of those killed by CIA drones in Pakistan. It has launched a dedicated website – www.thebureauinvestigates.com/namingthedead – which will list the known names of those reported killed by drones together with as much biographical information as can be gathered. At launch, the Bureau is publishing in English and Urdu the names of over 550 people – both militants and civilians. This list will grow in the future. Naming the Dead builds on the Bureau’s two-year project tracking drone strikes in Pakistan and the numbers of people reportedly killed. This extensive research has found that at least 2,500 people have reportedly been killed, including at least 400 civilians. But almost nothing is known about the identities of these casualties. The Obama administration has claimed that drones are a highly precise weapon that target al Qaeda and affiliated groups, while causing almost no civilian harm. But it does not publish its own account of who it believes has been killed. By gaining a clearer understanding of who is dying in drone strikes the Bureau aims to inform the debate around the effectiveness of the US’s use of drones – and around this rapidly evolving weapons system. Bureau journalists have revisited all the media reports, court documents and other sources from which they compiled the drone strike data. From these sources, the Bureau has identified 568 individuals by name. 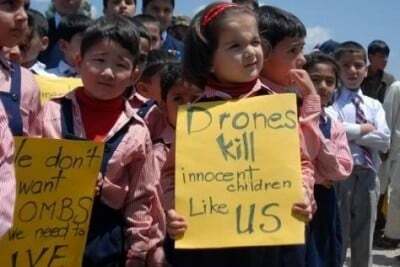 But an estimated four out of five drone victims are not named in the available sources. At launch, the Bureau is publishing case studies on 20 individuals, including both civilians and alleged militants. Over the coming months the Bureau will extend its research to add to the list of names and to add biographical details to more individuals. The Bureau hopes that the families and friends of those killed in drone strikes will come forward to corroborate, contradict or offer additional details to help build a fuller picture of those killed. Reporting from Pakistan’s tribal regions is challenging and there are many individuals whose name is the only thing we know of them. Sometimes we only have part of a name. For others, particularly senior militants, there is more detail available. Bureau journalists have drawn on sources such as sanctions notices, ‘most wanted’ lists, martyrdom statements and jihadi biographies, diplomatic cables, and reporting of past activities.